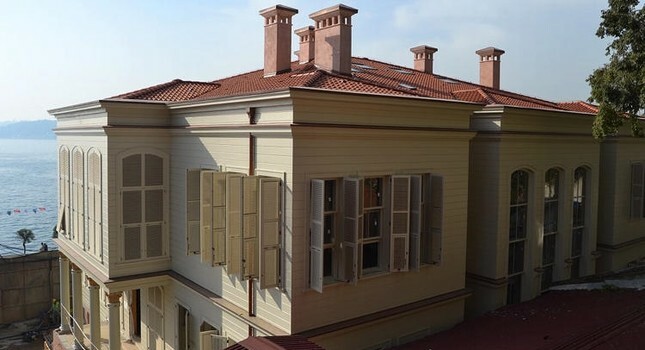 The restoration of the historic Kocataş Mansion, rendered useless after a fire 20 years ago but still one of the most valuable and rare mansions in Istanbul, has been completed. The waterfront mansion by the Bosporus in the Sarıyer district was purchased by Omar Hussain Alfardan, a Qatari businessman, and will now serve as a luxury hotel. Reportedly, he also invested in the Sait Paşa mansion in Sarıyer. This picture shows the former state of the building. Alfardan spent $200 million on the renovation and other investments. The hotel will open next year and will be operated by the U.S.-based the Six Senses Hotels Resorts & Spas chain. Alfardan is a shareholder in the United Arab Bank and Commercial Bank of Qatar. He also serves as the deputy chairman of the Turkey-based Alternatif Bank, formerly Abank. In 2013, the Commercial Bank of Qatar acquired a 71 percent stake in Turkey's Abank for $460 million. At the end of 2016, the bank paid another $224 million to acquire the remaining shares. Fuat Kaplan, the architect of the project, said the hotel has 60 VIP rooms, three restaurants, one spa and two swimming pools and will operate with 400 employees. The historic mansion was constructed by Sarkis Balyan, a prominent Ottoman-Armenian architect, upon the order of Ottoman Sultan Abdülhamid II. The Kocataş Mansion was named after former Ottoman Prime Minister Necmeddin Molla Kocataş. A 25-decare grove, famous for its spring water, lies behind the mansion. Depicted as the pearls of the Bosporus, the waterfront mansions are essential elements of the unmatched landscape of the Bosporus. Both shores accommodate 600 mansions, and 366 are historical buildings. Previously, 60 waterfront mansions were reported to be for sale, drawing huge interest from Qatari investors.